The success of Olori Cosmetics was expected as founder Toyin Odulate spent 12 years specializing in every facet of a personal care business. This includes being well-acclimated in retail management, supply chain, distribution and marketing development. 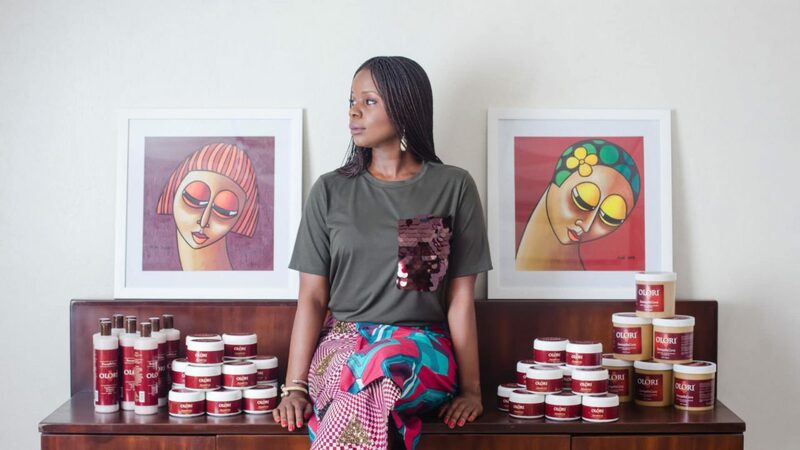 With her respectable background and family history of entrepreneurship, she created an effective Africa-based cosmetics line catering to the Queen in every women. How did you start off your business? I had always “planned” to start the business, waiting on the “right” time, but when I finally did start, it happened by accident. Five years ago, I had a hair coloring accident that left my hair feeling like hay! I asked my mom to mix me a potion that she used to make for my sister and me as kids to care for our lustrous hair. I used it and it literally reversed the damage and texture of my hair within days. It was then I knew that I had to bottle this product and share it with the world. I sent samples to about 20 of my friends to try out. They all loved it and kept asking me for more. That’s how we started! Why the name “Olori”? Does the word have any special meaning or significance? Olori is the Yoruba word for “Queen”. It evokes all the attributes associated with a woman of royal descent. I believe that there’s an “Olori” in every woman, and this is what I hope my brand inspires and communicates to all our users. Please tell us a bit more about your product lines. And what has the response been like since you launched? Within our haircare division, we have a range called DamageBeGone – which includes our Happy Hair Butter and our signature Deep Conditioning & Restorative Treatment Mask. We’re also about to launch our new kiddie haircare line, called My Little Olori. Then there is our WinterBeGone Whipped Shea Body Butter, and later in the year we will launch our new color cosmetics line which I’m very excited about. The response to our products has been phenomenal. 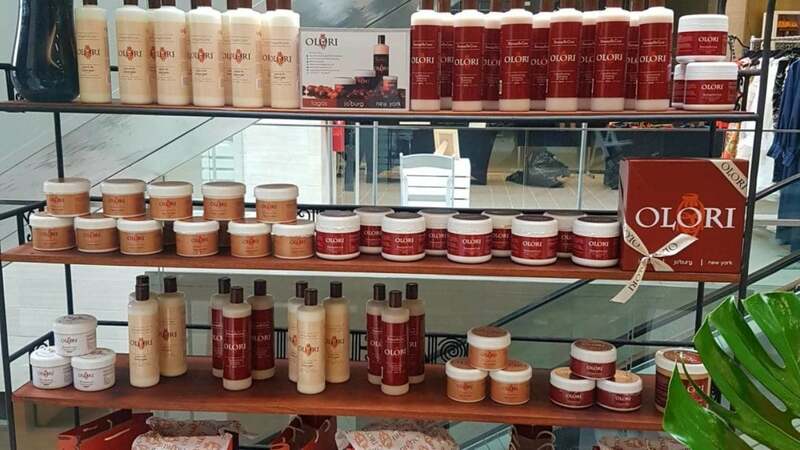 There’s definitely a sense of pride that people have knowing that our products are African-made for the African and African-descent consumer. You use only natural, organic ingredients in your products; how do you source your raw materials? It’s a pretty complex process. Within just one of our products, the ingredients come from about six different states within Nigeria and sometimes our sourcing for ingredients comes from different African countries – which is a fundamental part of our ethos. What challenges do you face, or have you faced, in building your business thus far? A few. Specifically, finding the right people to help run the business, managing inter-African payments between countries in Africa, dealing with a fragmented retail landscape makes distribution more difficult. How have you overcome some of those challenges? Persistence, tackling each challenge one day at a time. It’s made me more resilient. 5. Learn to leverage your networks. What is your personal haircare and beauty regime? I wear my hair a lot in braids, because I’m always on the go and need it to be as low maintenance as possible. To care for my hair underneath, I moisturize with our Happy Hair Butter every two days, and twice a week, I use a mix of our Leave-In Detangler and water to hydrate my braids from the roots up. To take down my braids, I use the same mix to gently detangle my hair and make it easy to comb through, before deep conditioning with our product. Beauty – I have stepped up my skincare routine in the past six months. My new thing is to pre-cleanse and wipe off make up with a mix of Micellar water & organic coconut oil on a flat cotton pad. Then I follow with my normal cleanser, toner and moisturizer. My skin feels like butter afterwards. Any family beauty secrets you would like to share? The biggest beauty hacks in my family are avocado and coconut oil! Coconut oil is an amazing pre-cleanser and makeup remover; adding crushed avocado to our homemade DamageBeGone Deep Conditioner brings tired and parched hair back to life, leaving it glossy, revived and beautiful! What advice do you have for other women looking to start their own business with limited capital?